The 2015 VPUSBC Open Championship Tournament was held May 9th – 17th, 2015 at Sparetimes in Hampton. Fred Phillips (577), Emie Stoudt (588) , Steve Stoudt (585) and Martin Lemanski (587) came in 1st place with a combined score with handicap of 3006. In third place Joshua Curtis, Casey McCrea, Karel Curtis and Joe Curtis combined to roll a total of 2893. Cecil Holmes and Arthur B. Reynolds came in 1st place with 1668, 47 pins back in second Casey McCrea and Joshua Curtis (1621) and third place with 1587 Travis Turbin and Andrew Felmeten. 1st place Casey McCrea (837), 2nd Chris Eskridge (807), 3rd Alex Smith (804), 4th Theresa T. Milloy (792) and 5th Joe Curtis (781). 1st place was Casey McCrea with a total pinfall of 2523, 2nd Cecil Holmes (2329) and 3rd Andrew Felmeten (2311) 4th Arthur Reynolds (2265) and in 5th Fred Phillips (2243). Travis Turbin, Andrew Felmeten, Lance Lezotte and Ranolph Wojcik came in 1st place with a total pin-fall of 2598, 2nd place with 2509 was the BVLers #2 with Gregory A. Tschupp, Mickey York, Donald D. Summers and Mike Spellman. Tyrone Wiggins had a great performance at the Open with games of 268,247,198 for a series of 713 to take 1st place in the Scratch Singles with Andrew Pancoast second (235,219,235 – 689) and John Banicky 3rd with games of 180,248,242 and a series of 670. Andrew Felmeten with a total pinfall of 2077 took 1st place in the ALL EVENTS Scratch division followed by John Confalone (2035) second, Barry Sprouse thrid (2008) fourth Joe Corbett (2000) and in fifth Stephen Edmonds with a total pinfall of 1995. We would like to thank all our bowlers for making this years VPUSBC Open Tournament a success and look forward to next year! This entry was posted in Tournaments, VPUSBC, VPUSBC NEWS on May 26, 2015 by Virginia Peninsula USBC. The Virginia State USBC Women’s Tournament was held March 28th to April 26th, 2015 with the team event held at BOWL AMERICA BULL RUN in Manassas and the Double and Singles at BOWL AMERICA CHANTILLY. Once again our Lady VPUSBC bowlers rose to the top with several great finishes. Kat Goodstein, Karel Curtis, Michelle Porter and Sheil Hazelgrove combined to score 3096 taking 1st place in the Team, Regular (603 and Below), Handicapped and 4th in Team, Scratch with a score of 2578. Kat Goodstein and Karel Curtis also came in 6th place rolling 1522 in the Doubles, Regular (301 and Below) , Handicapped Division with Karel also taking individual honors with a 1st place in the Singles, Classic (151 and Above) Handicapped shooting 883 and she placed 4th with a combined score of 2471 in the All Events, Classic (151 and Up), Handicapped division. In 4th place in the Team Scratch division with a scorer of 2578 were Donna Haynes, Dawn Campbell, Renee Smith and Sara DiScioscia, they also placed 12th in Team, Classic (604 and Above), Handicapped division with a score of 3,007. Scratch Doubles we find in 8th place Karen Shuler and Renee Brubaker with a score of 1,273. All Events, Regular (150 and Under), Handicapped found another VPUSBC bowler Ava Dorman placing in 7th with a total score of 2340. 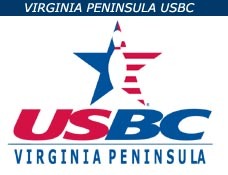 This entry was posted in Tournaments, VPUSBC, VPUSBC NEWS on May 18, 2015 by Virginia Peninsula USBC.